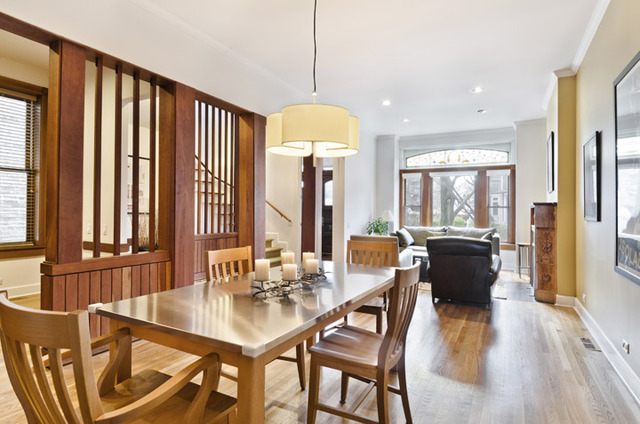 Roscoe Village has some of Chicago’s best single-family and townhome real estate around. For home buyers looking for more space and a great neighborhood feel, Roscoe Village may be the perfect fit. Plenty of neighborhood amenities make living here convenient, while it’s also not quite as congested as some neighboring lakefront communities like Lakeview or Lincoln Park. Roscoe Village’s boundaries are roughly defined by Diversey to the south, Ravenswood Avenue to the east, the Chicago River to the west, and Addison to the north. Whether you’re looking for a spacious Roscoe Village single-family home, a vintage Roscoe Village condo, or just something in between, don’t keep viewing the same property listings over and over again. Instead, search new Roscoe Village real estate listings using our new listing page and only see homes fresh on the market from 2 weeks or less. And for more information on new Roscoe Village real estate listings, contact Ted Guarnero at (312) 566-8141 today!